Al Fahidi Historical District. 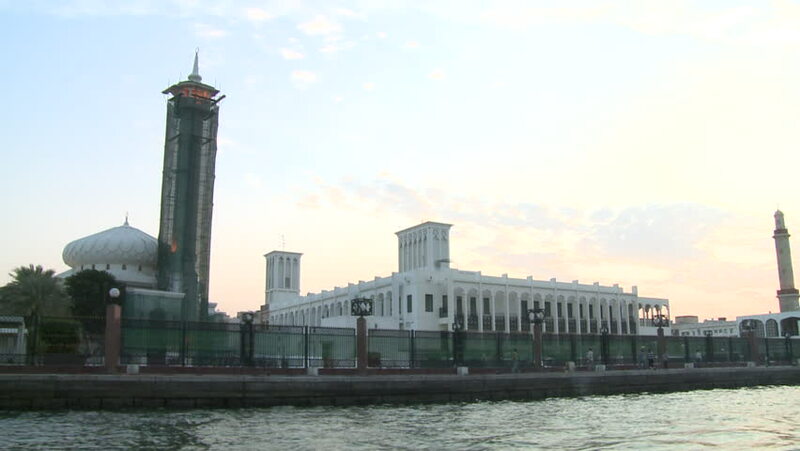 Shot of the white dome and minaret of the Bastakiya mosque and the Al Fahidi Historical District from a boat at sunset. hd00:30Montreux, Switzerland - january 2016 - Mist fog covering the city - rare weather phenomenon. Still shot. hd00:14Scarborough Lighthouse in the mist.